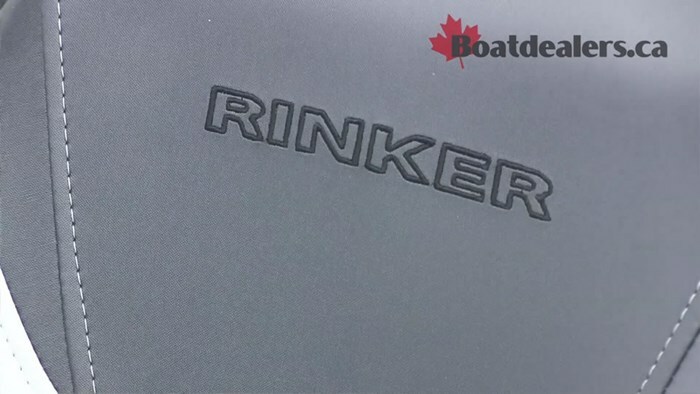 Rinker boats are built in Syracuse Indiana on the shores of Lake Wawasee. This proximity to water gives Rinker the ability to test and re-test each and every boat that leaves the factory. Their goal is to built a boat that every owner can be proud of, a boat for boat lovers. The QX19 is absolutely stunning from the outside. 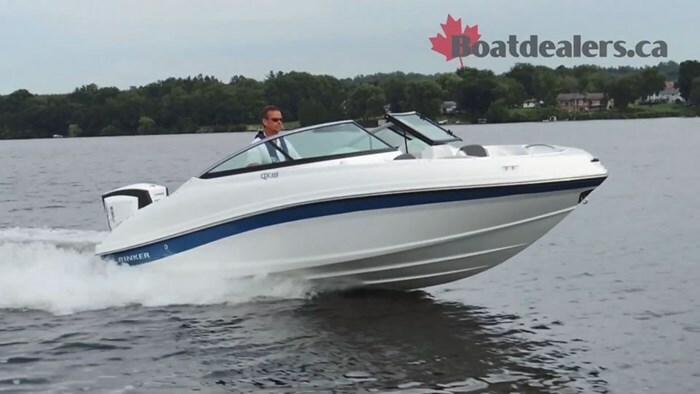 Her lines flow perfectly from bow to stern and the 200 Evinrude on the back screams ‘take me out to play!’ Before even getting into the boat it is impossible not to notice the sheer size of the bow section. Clearly the folks at Rinker understand the need for ample seating and storage and they did a marvellous job of incorporating both into this area. The helm station is comfortable and yet playful. 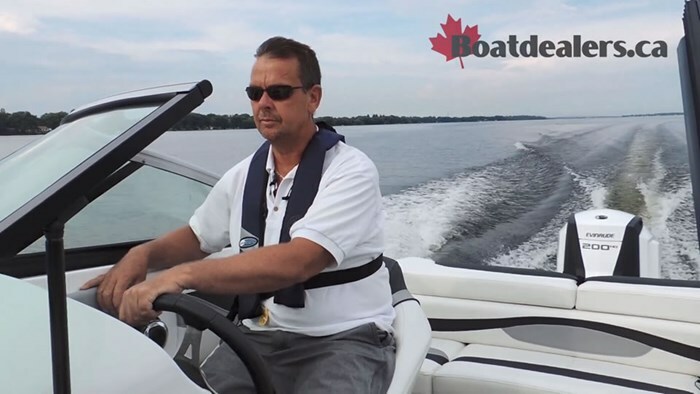 The one-piece buckets with flip up bolster seats for both captain and co captain are designed for easy forward viewing in your choice of above or below windshield position. The gauge package is easy to read at any speed and the rocker switches are readily accessible. The port side dash features a lockable glove box and the base unit of a Kicker sound system. Stern seating for another 3 friends offer an ergonomically designed back rest, there’s a built-in cooler under the center section and theirs even more storage under the top deck cushions. 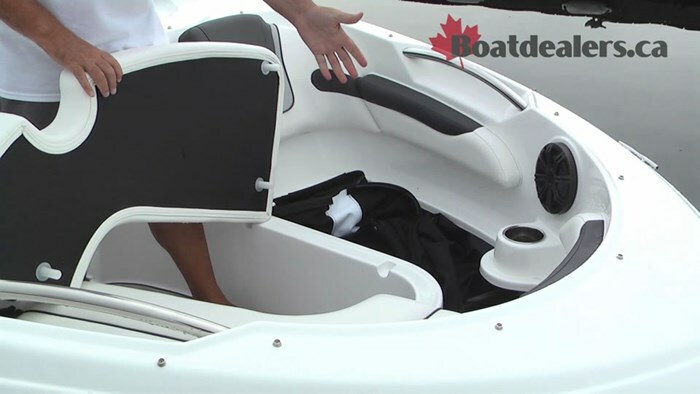 Our test boat incorporated Rinker’s Captain’s Choice package which includes Bamboo snap in flooring throughout the cockpit, bimini top, bow and cockpit covers, bow filler cushions, a digital depth gauge and the upgrade to the 200 HO Evinrude G2. On testing this boat is, in a word, fast. Hole shots were virtually instantaneous and top speeds were consistently 53 MPH at 5,850 RPM. She ran well at a variety of cruising speed, I particularly enjoyed 22 & 26 MPH which burned 4.7 & 5.3 Gallons per hour respectively. The boat corners efficiently, pushed through all kind of wake and wash and handled well at a variety of speeds. 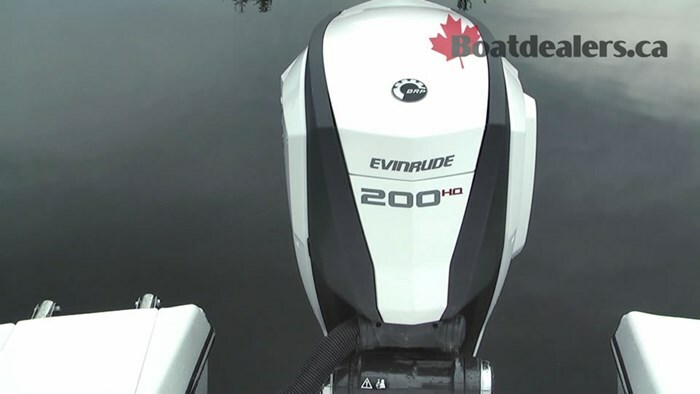 With the power of the Evinrude 200 HO, the QX19 is definitely a quick boat meant for experienced operators. 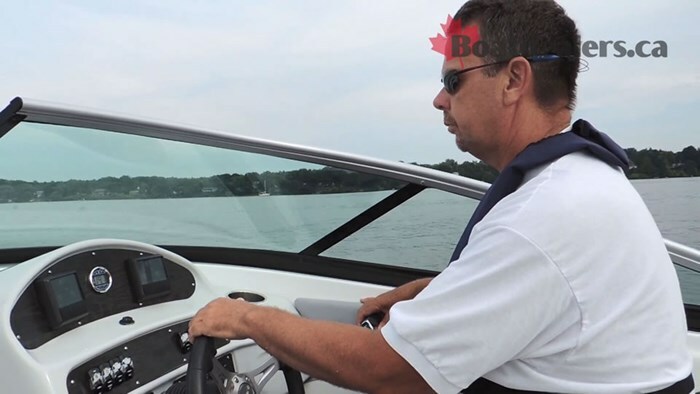 I really appreciated Evinrude’s i-Trim feature which allowed me to focus on driving while the engine found the perfect trim range on her own. With her storage and seating standards and all-around playfulness she’s certainly designed for fun days on the water.